New Delhi sources stated that Congress attacked Yogi Adityanath over his Hindu Yuva Vahini's alleged announcement of Rs 1 crore bounty on Punjab minister Navjot Singh Sidhu's head, alleging that the Uttar Pradesh Chief Minister was behaving like "Aurangzeb", and asked whether a "Talibani system" will prevail in the country. Meanwhile the Hindu Yuva Vahini, an outfit founded by Yogi Adityanath, reportedly announced a reward of Rs 1 crore to anyone who beheads Sidhu. Furthermore Congress chief spokesperson Randeep Surjewala, responding to a question, said "Is democracy left in this country, or he (Adityanath) has now become the biggest Aurangzeb. Modi behaves like Muhammad bin Tughlaq and Adityanath behaves like Aurangzeb." He said "So, will there be rule of law in this country, will the Constitution govern the country, or will there be open hooliganism, which we saw in Uttar Pradesh?". 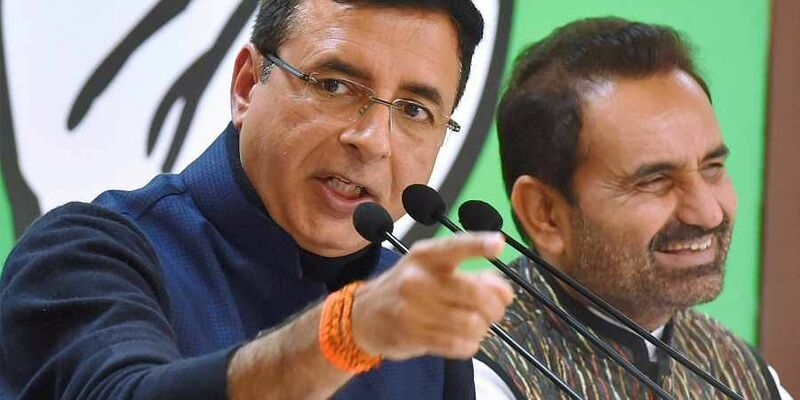 Moreover slamming the BJP over the Bulandshahr mob violence, Surjewala said policeman Subodh Kumar Singh was shot in the head and BJP leaders have been named among the accused, but they are not bothered. Furthermore he also slammed the Uttar Pradesh Chief Minister of summoning the policeman's family to meet him instead of going to their house.